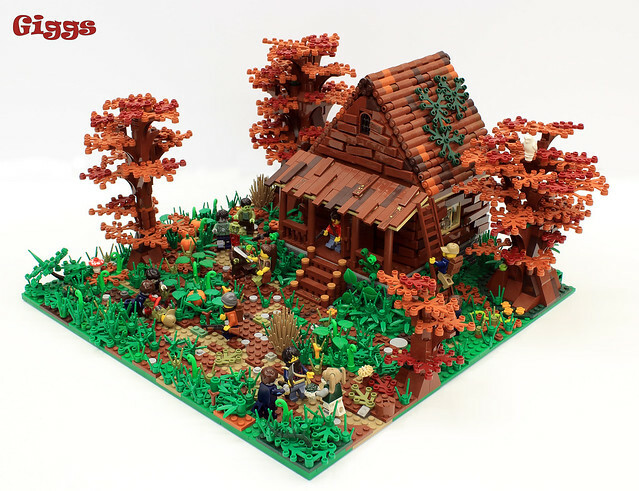 This rustic cabin MOC by Giggs made me do a double take, then an ultra-rate triple take. At first you look at it and all you see is a charming, woodsy scene, with a classic cabin in the woods. Then you notice some figures in there and your first thought is "ah, there's campers or woodsman". Then you look a little bit closer and think "oh, there's zombies too". Suddenly it's no longer a tranquil rural scene, but now a fight for survival.